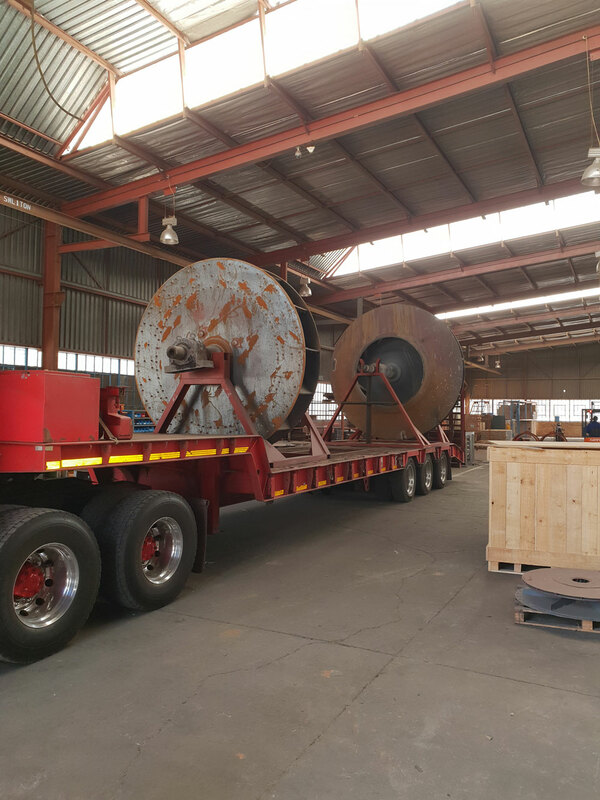 After being in our new factory for only 2 months and eager to see the capacity of our shop, we received 2 large impellers for refurbishment in October 2018. The impellers are approximately 2.8m and 3.4m in diameter and weight in at over 5tons on their transport stands. We are looking forward to getting these rotating assemblies refurbished and delivered! 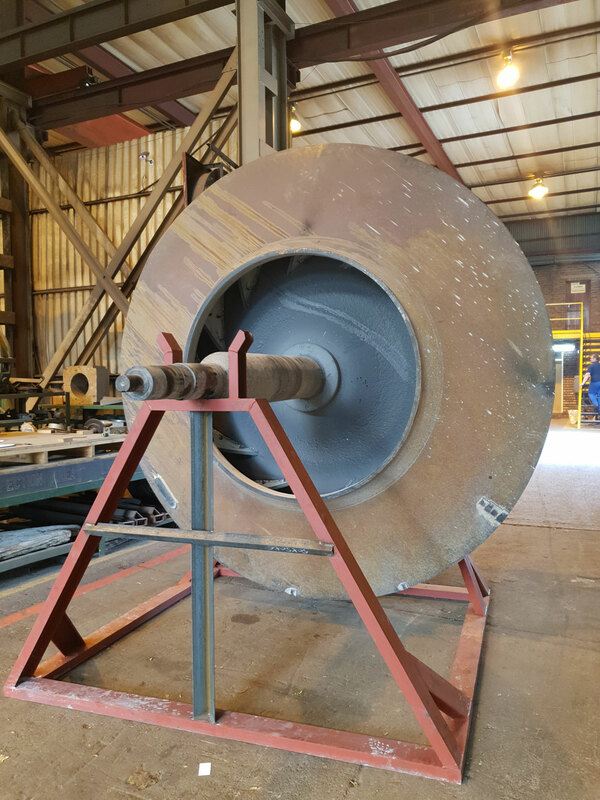 Large Centrifugal Fan Impellers. Radial Tip, High Efficiency Wheel. Forward Curved ID Fan. 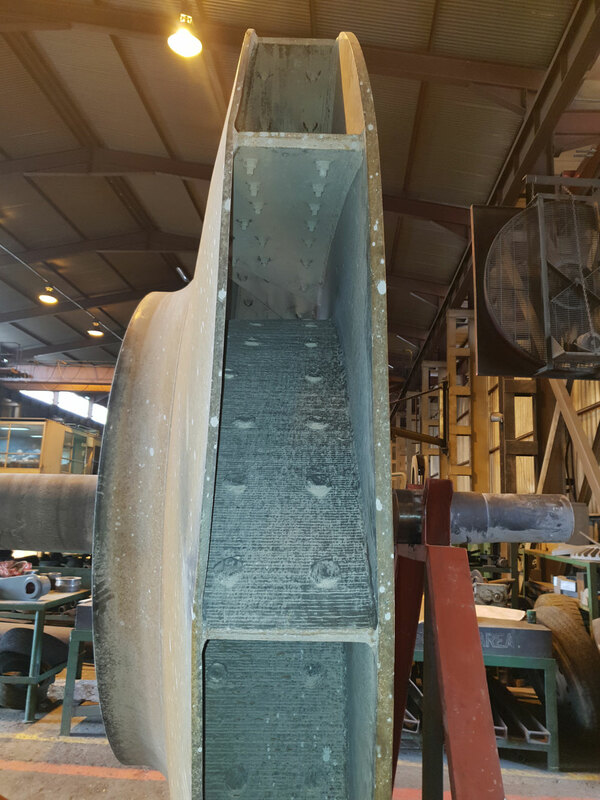 Centrifugal Fan Impeller Repair. Backward Inclined, High Efficiency Wheel. Plug Welding with Wear Liners. Impeller refurbishment. Transport stand. Induced Draft Fan. 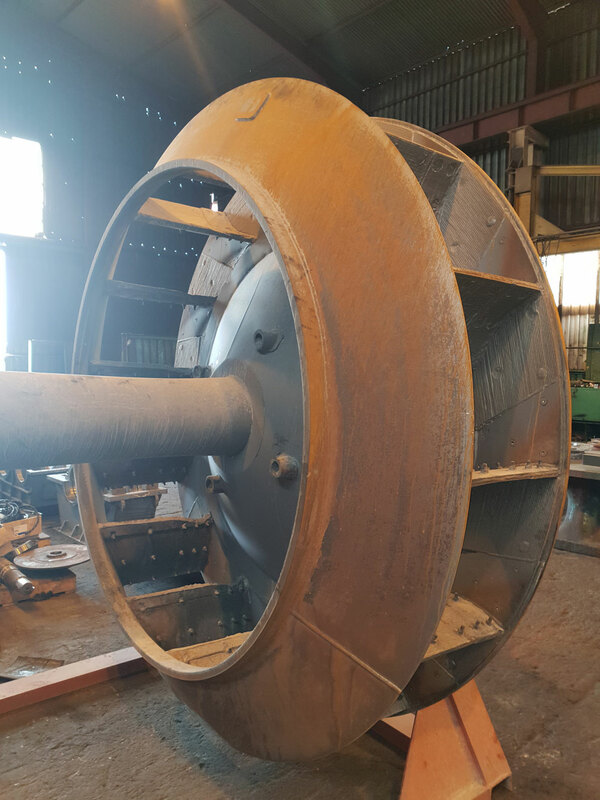 Centrifugal Fan, Radial Tip. Process Engineering. Fan repair and overhaul. Wear Liners.